EUR is under the influence of market sentiment, senior European official’s comments and European economic statistics such as German 10-y Bond Auction and German PPI m/m. USD will be affected by Existing Home Sales and Crude Oil Inventories. Considering the EURUSD chart, support rests at 1.1346 with resistance at 1.1380 which both of them are above the monthly pivot point at 1.12030. The price is moving close to the EMA of 10 and the EMA of 50. The MACD indicator is in positive territory showing the price growth. The RSI is above the 50 level which confirms this scenario along with the ADX which indicates buyers have more power than sellers. A couple of pullbacks will be expected before the price break out. 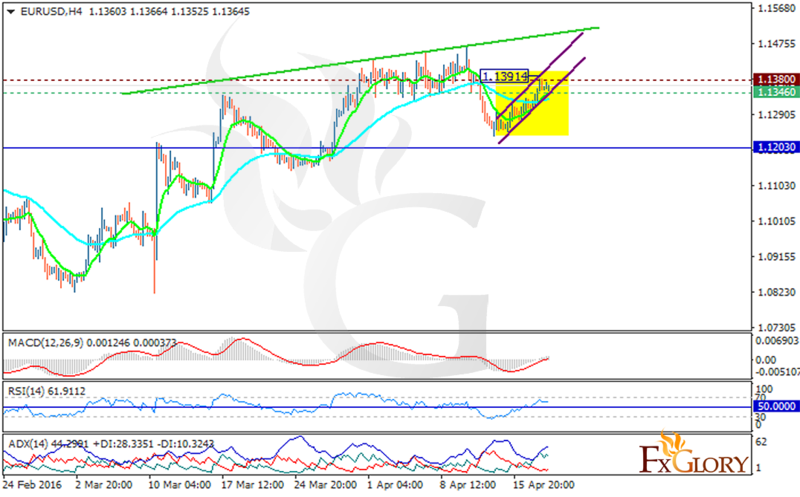 The support level breakthrough at 1.13460 can be the expected pullback therefore it will be a good sign for further rise.